Ali Eisa (b.1987) is a London based artist and researcher known as half of Lloyd Corporation. He graduated with an MA in Visual Sociology in 2013 and a BA in Fine Art Practice in 2010, both Goldsmiths, University of London. Exhibitions of his work include Mirror City (curated by Stephanie Rosenthal), Hayward Gallery, London; This is Visual Sociology, Goldsmiths, London; Austerity & the Body, AutoItalia South East, London; Flow (with Eric Bell and Kristoffer Frick), Peles Empire, London; Competing Temporalities, Carlos/Ishikawa, London; Consumme, Henry Kinman Gallery, London; When People are Silent Stones Speak, GIG, Copenhagen, Denmark and Speak, Memory, N/V Projects, London. He has been using unconventional (and conventional) means of sociological study to explore, expand, complicate and re-imagine cultures of ‘making’. 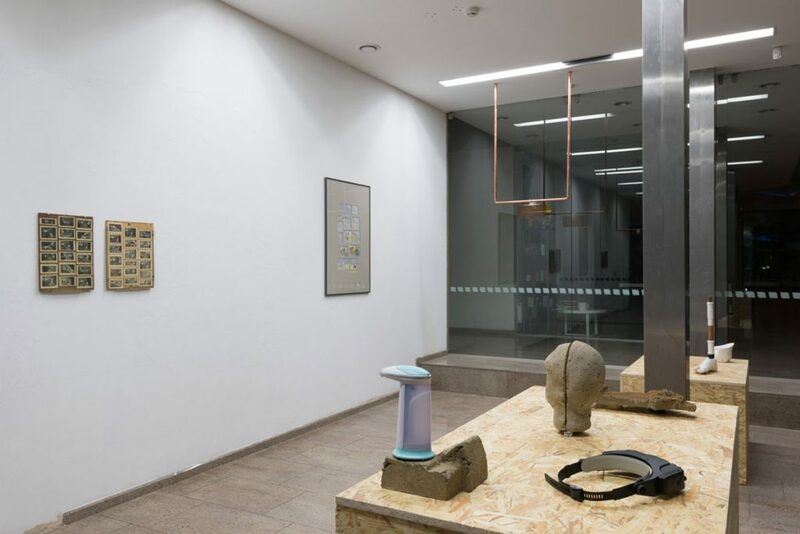 During his time as artist-in-residence at Rupert, he worked on new pieces which was presented in a form of a one-man show They had to do it by their hands (2015, Vilnius).